I am ‘Student Nurse’ Laura. Use to be just student, but I like the new ring to it. I’ve created this blog to help me keep organized in my classes as I venture into this world of care, with hopefully enough competence and compassion, as I can muster. I have completed the Pre-Reqs needed for the program in Fall 08 and applied for the ADN program at Antelope Valley College as soon as those transcripts were available. I feel fortunate to make it into the Fall 09 class with my eyes on graduating in Spring 11. So many wonderful peers to go through this course with – I’m definitely looking forward to a rewarding experience! I have one goal – To learn, so I can help expertly, carefully and thoughtfully. I am a past technical editor for a large publishing company of the last 9 years. Business owner – xerographic, graphic, and resale-dealership of 16 years. 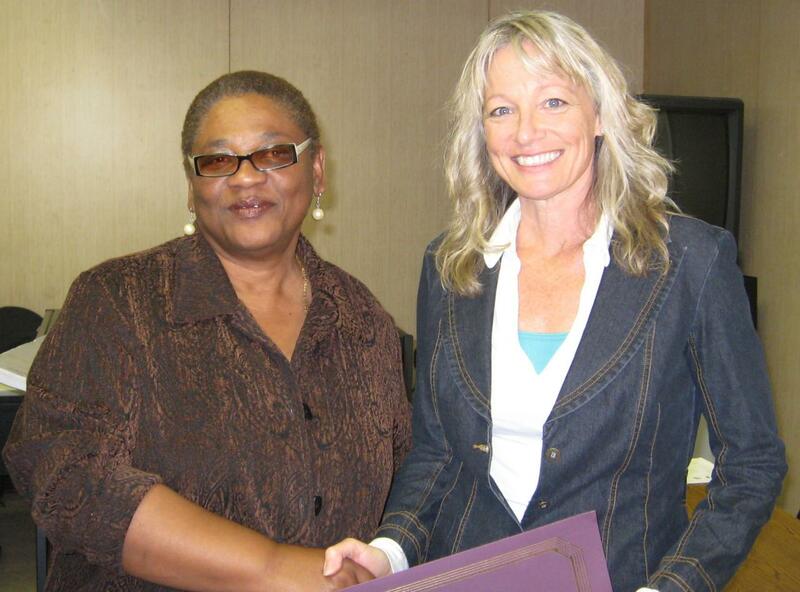 Master Gardener, Certified Mediator, Mother, Wife, Daughter, pet feeder…..
Found a picture of me on a website LA Hughes & Associates ,. I like it, must have been one of my better days! You my dear are awesome! 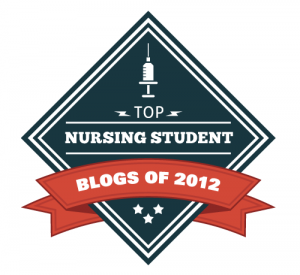 We wanted to let you know that your blog was selected for inclusion in our list of the Top 25 Nursing Student Blogs of 2012. You can view the list at http://www.toprntobsn.com/best-nursing-student-blogs-of-2012/. This is truly amazing i will be sure to share this site with my fellow Tuskegee nursing students! thank you! Just like the others who commented on this website ,I just stumbled on it !! Wow ! Thank -you for sharing ! I found your site while looking for nursing resources to help myself while I am in nursing school. WOW, you must be a trully amazing, and smart person! How wonderful of you to share all of this…and for everyone to gain from your hard work and true kindness. Not many people do these things anymore. I applaud you. How did you create your drug cards? Do you have a template? Thanks!!!! Look for those in my files, and you should be able to use them as a template. I am the president of our SNA and I keep up our facebook page. Your drawings would be great to post there – do you mind if I do so? Thank you for your blog, it is very informative. Your drawings are adorable. Thank you again! That is so nice – and thanks for asking!! Yes, of course. These were part of my stress reducers! Wow, someone else who remembers things by drawing cartoons! I’m in my last semester and finding your blog was a wonderful surprise. I only wish I’d found it several semesters ago! I’m starting my nursing program this Fall 2011 at AVC and I’m so happy and excited to stumble upon your nursing blog! It’s informative and downright creative! OMG I love you!!! I am a senior nursing student at Brenau University in their part-time program. Like you, I am changing careers. Nursing school has been a challenge but I love it! Your resources will be a huge help this year! this program is very succesful. i will apriciate for u.
I was wondering if there is any way you could add a search bar to your page. Where us students can type in a topic (like norepinephrine or ICU or something)and then it lists all of the pertinent things you have on your page? Is that possible? I am technologically challenged, so I woudln’t know! Thank you Kylie for the suggestion! It is located in upper right column. I am so happy that I stumbled across your blog this morning! I am also currently a nursing student, having recently finished my first semester. I’m blogging my experiences at http://alwaysthepatientalwaysthenurse.wordpress.com and I’m absolutely loving it! The amount of resources you have listed on your site are unbelieveable. I love that you have iPhone app suggestions – I got mine in March and I’ve been debating on what I should spend my money on and what’s just not worth it. Thank you for the time and effort that you’ve put into this fantastic website. I hope you don’t mine me sharing it with my fellow nursing students. I also hope you don’t mind me borrowing a few of your resource pages/pictures to share. Any tips you can spare for the starter nurse would be priceless I’m sure. Kristin, thank you for your comments. 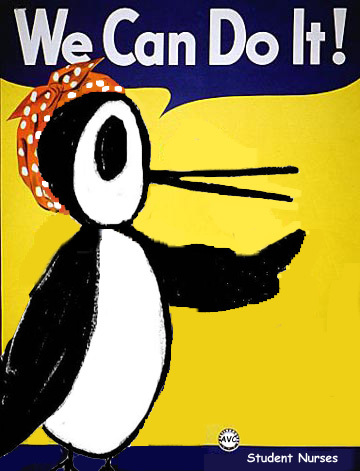 You may absolutely use anything I posted. Just remember, it is how I have comprehended the information our class needs to learn. I try to stay with the texts, but even some of them get to be a couple years old – and you know science is always changing. So, if something makes you raise your eye brows – check with your teacher. I find writing helps me put things in the right file in my mind, and if it can help anyone else digest the info, then I have started helping people already. I wish you the very best, and if you don’t mind I will post your blog here for some of my readers! Take care and stay in touch! Laura. I totally know what you mean. The drug book I bought less than 6 months ago is already out of date! Don’t you hate that!?! I found your study tips especially helpful, and I love the success secrets. Did you illustrate them? I’ve added your blog to my page as well. I’d love to hear about your life after nursing school! Dang girl! And you wonder why we want you as class president!?! I wish I had 1/10th of what’s going on in your mind. This website is absolutely fabulous. Thanks for everything and WHEN you get elected I will be honored to serve under and with you (that is if I still remain unopposed)…lol. See you in class. It is such a pleasure to be included in your circle of study friends. sorry I know its probably here on your website but I am really computer illeterate!!!! It is listed towards the bottom. I read it was good to have for testing though the 2 years. Maybe you want to check mine out before you spend the money? I had no idea you were this creative & techie…where do you find the time? I’m soooo very impressed!